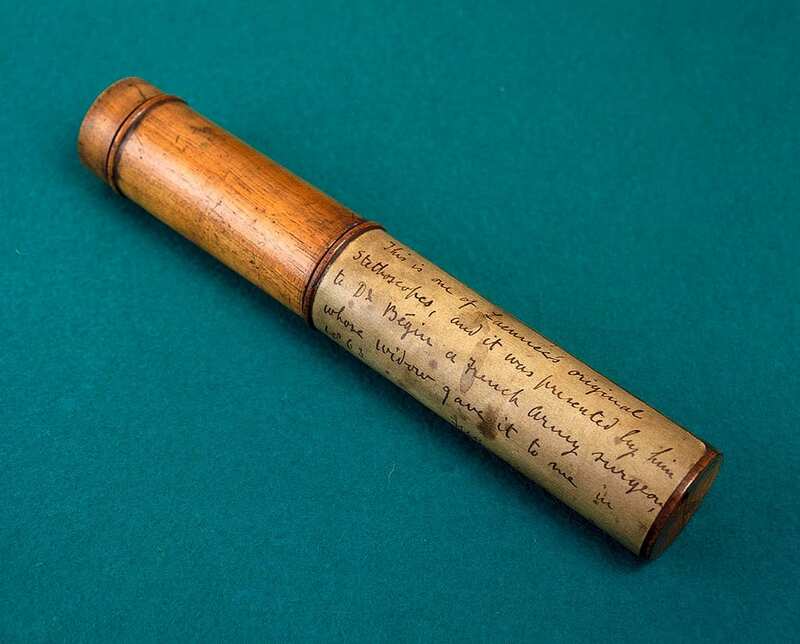 What led Laennec to invent the wooden stethoscope? This year our annual Goodall Symposium (16th June 2016) will be celebrating the 200th anniversary of the invention of the first stethoscope. We’ll be taking a look at the origins of the stethoscope and how the methods and technologies for listening to the heart have developed over the last 200 years. In this blog our Honorary Librarian, Mr Roy Miller discusses why the stethoscope was invented. Made of wood and brass, this is one of the original stethoscopes belonging to Laennec. 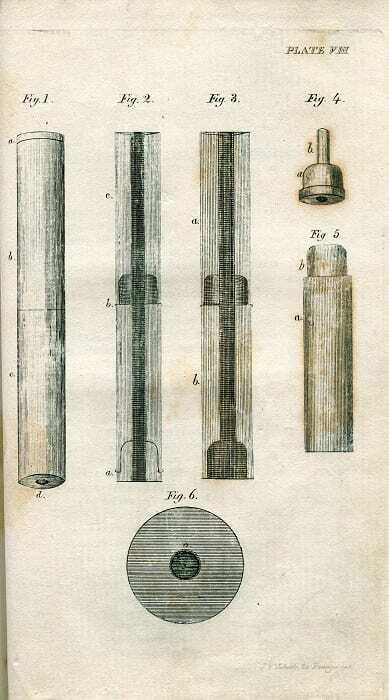 Laennec soon replaced the rolled up paper cylinder with a hollow wooden tube. This had a small hole at one end and, at the other, a conical hollow. A plug fitted into the hollow to allow the physician to listen to the sounds of the heart. When removed, the physician could listen to the sounds of the lungs. Unlike its modern equivalents it was designed to be listened to through only a single ear so it did not have the familiar Y-shaped double earpiece. The original stethoscope could also be unscrewed in the middle for carrying in the pocket. In the 1820s the Glasgow Medical Journal reported on the introduction of the stethoscope to Glasgow medicine, pointing out that the tool was at first “suspected, ridiculed, and sometimes abused as a piece of pompous quackery.” By the late 1820s such suspicions were dismissed as use of the stethoscope grew. By the 1850s, the stethoscope had become one of the doctor’s most vital tools. The Goodall Symposium takes place in the College on the 16th June 2016 @ 6:30pm. It’s free to attend but please book your place for catering purposes – please contact library@rcpsg.ac.uk or call 0141 221 6072. You’ll also have the chance to see our latest exhibition which focuses on the development of the stethoscope over the years. 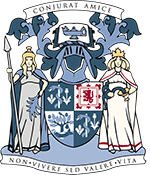 This years Goodall Symposium is part of the Glasgow Science Festival 2016.